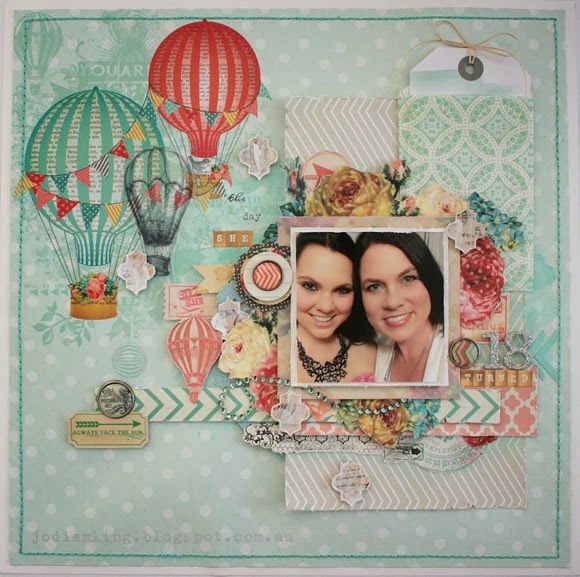 Sharing a layout today that was recently published in Scrapbooking Memories magazine. 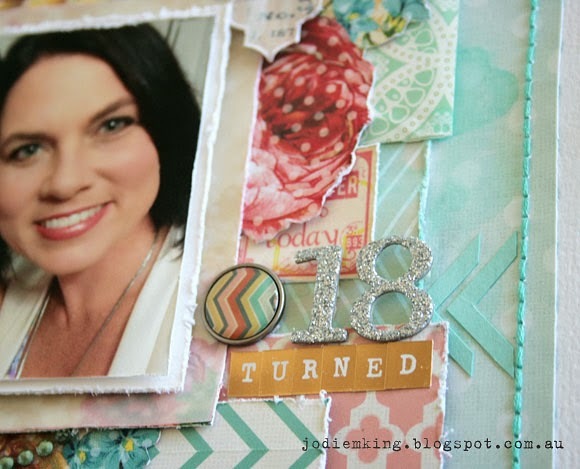 This layout is one that's very close to my heart, and celebrates the day that my gorgeous daughter Kayci turned 18. 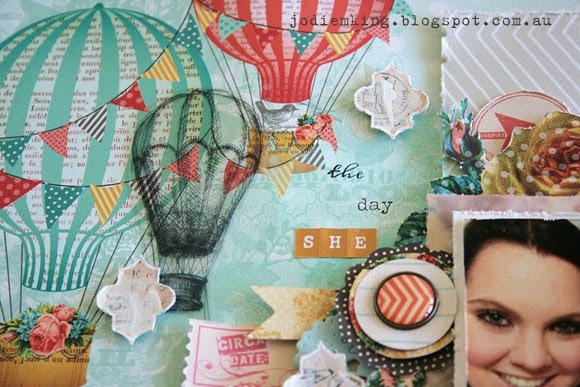 I've used the My Minds Eye - Find Your Wings & Fly - Sky's the Limit collection. 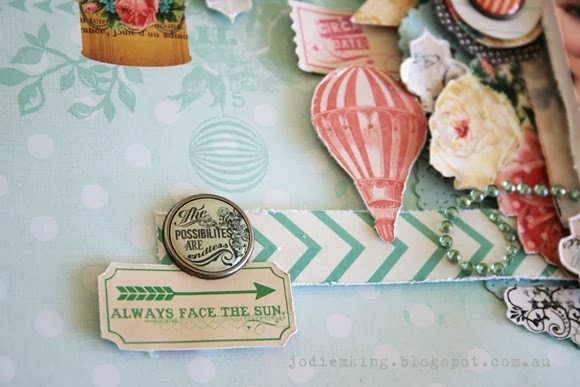 This collection really matched the sentiment of my layout - a message to my girl that the sky's the limit - she can achieve anything she wants to in this life. I typed my journalling on a Dear Lizzy tag, tied it with some twine and slipped it in an envelope towards the top of the layout. I got a little bit excited with my metallics on this layout and went for both silver and gold! and applied some gesso with my fingertips to soften their colour. 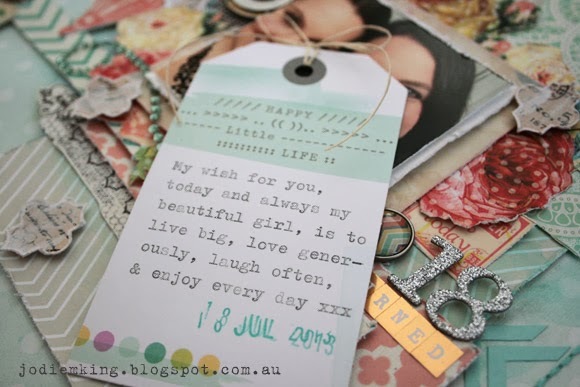 Just love that this collection has so many little positive affirmations, from the brads right through to the tags. And lastly a close up that shows some of the layers, my hand stitched border using embroidery thread, and the light application of watercolour to my background. My Hot Tip included in the magazine was how to create an even hand stitched border. To do this take the thread out of your sewing machine and set it to a long stitch - for me this is usually a length of 4. Run your machine around where you want your border to be, then using your embroidery thread, backstitch your border in your colour of choice.